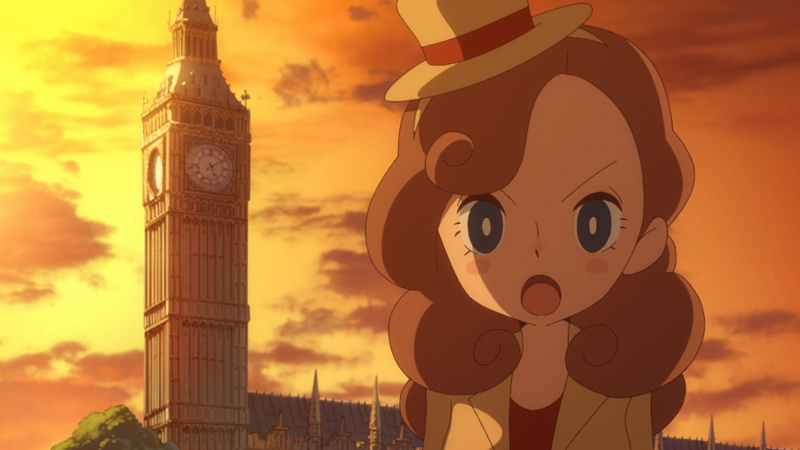 It's been too long since we last had a Professor Layton game, and though that era in the series has passed we do have Layton's Mystery Journey: Katrielle and the Millionaires' Conspiracy to look forward to. The good news is that it's not too far away, with Nintendo of America confirming that it'll arrive in the region this Fall. Below you can see a description and a Japanese overview trailer, showcasing the fact this is a somewhat different approach for the series. Join Katrielle Layton, our new hero, in a casual, comical, quizzical quest. Full of ingenious challenges, charming characters and clever plot twists, the newest Layton installment will prove that “The truth is stranger than fiction!" Sadly the equivalent European press release made no mention of the title, so we hope this won't be one of those Level-5 title with odd release discrepancies between regions. Time will tell. Are you looking forward to this one? Be sure to keep an eye on Nintendo Life, too, as we have an interview about this game from E3 that's currently being solved for publication. Looks interesting but I'm hoping for another Ace Attorney /Layton crossover! Are we getting a physical release? Or its digital only? Is that date for the 3DS version, or for the mobile version, or both? I'm excited for this. Once the 3DS version releases in Europe, I'll happily buy it. @crimsontadpoles iOS version should be here July, if I'm not mistaken. Comes there first, and for much cheaper (at the cost of having to pay for hints or something). Good god, so many games are releasing in this magical year! @Ralizah This is such a cute comment. @Maxz Heh, sorry, it's just hard to contain my enthusiasm when practically everything I love (video games-wise) is hitting in the same year. Almost all of my favorite franchises are getting really good entries, and we got the console I've always wanted: a portable device with the ability to play home console games! Anyway, I love Layton games, so I'm super-excited to play this. I like reading people's thoughts on stuff, otherwise I wouldn't bother with the comments at all, but it can often be kinda gloomy. Amongst the grump and the snark, it's just nice to see the odd squeal of barely contained delight (not that this is a particularly grump or snark-inducing article). Anyway, my heart did a little flutter. That is one plural possessive title. Not gonna lie: I'm no Layton fan, but this one got me interested for some reason. I've tried a few times to get into the Layton series and it just isn't for me unfortunately. @BrokenskullZero Tell me about it. More games than I have money to spend (on games, at least). At this rate, all of 2018 is going to be spent cleaning up various 2017 releases I didn't have time to play! Katrielle is so cute! Can't wait to see more Layton content on the @LaytonSeries Twitter and FB!! So excited.!!! I was sold at "Layton" and "Level-5". What is it with Japanese inspired Western fashion being obsessed with tiny hats? Lady Layton vs. Apollo Justice? I'm much more hopeful for Yo-Kai Watch 3 if its locatization ever becomes a thing, but I'm happy this is coming and so soon too. This exact info has been on the official homepage since it opened several weeks ago. I fear it won't be as great as the other titles, because it seems its all about different cases (with the case about the missing professor Layton on the background). It won't have 1 big cohesive story, I think. Heh, I like your idea more.